Last bank holiday Monday, we all jumped in our new car and headed for the Scottish borders. Unfortunately, it poured from the heavens, we were optimistic in the drive down, it was an hour and a half drive away. Picnic lunch in the boot and Aria wearing shorts, we still hoped the sun would make an appearance. Let’s face it, it’s Scotland, we should have been better prepared. The rain never halted, but we didn’t let that put a damper on our plans, it’s just a bit of water after all. We were off on a magical adventure. An adventure Robin Hood himself would go on. 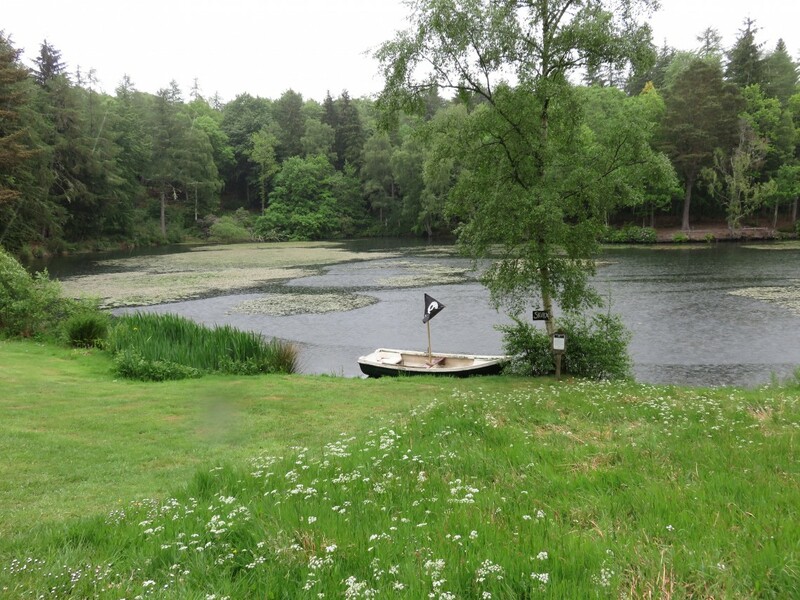 We went on an adventure to Neverland, aka Bowhill House Selkirk, in the heart of the Scottish Borders. 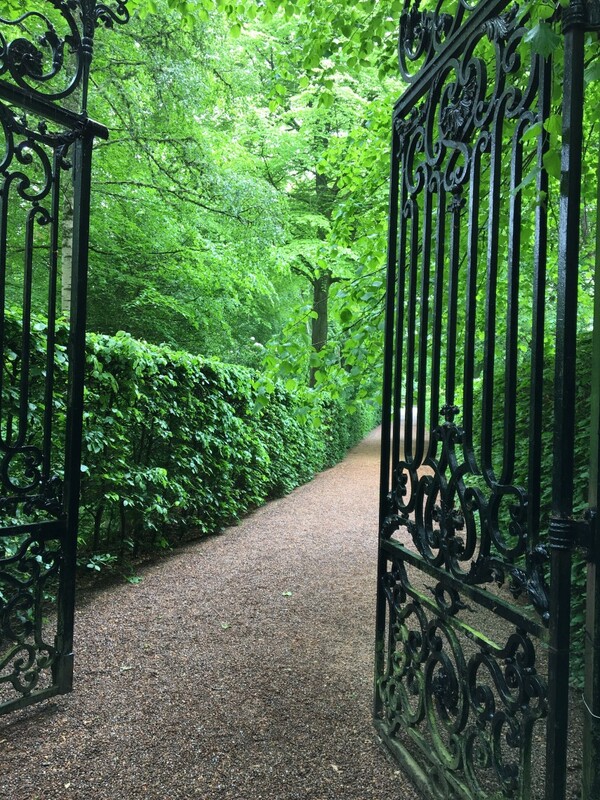 When we arrived we headed through the magical gates to the main house area. There we found the way to go for the Den Building experience. We thought the guide was joking when she said, go past the lake, go past the pirate ship and find the crocodile. Yes, we were expecting a wooden crocodile, maybe plastic…. So we walked past the lake. Which is stunning. As you can see the rain was pelting off the water surface, still looking pretty. We found Mr Smee and Captain Hook’s pirate ship. Onwards we went. We could hear the laughter from the children ahead, already on their magical den building adventure. Still no sign of the crocodile. We entered the forest, drenched from head to toe, but excited to see what lay ahead. Inside the forest way thankfully, warm and dry. It is a stunning place. You could spend hours just wandering about. Beautiful flowers, greenery and the scent of being in the great outdoors. Honestly, the grounds of Bowhill are breathtaking. 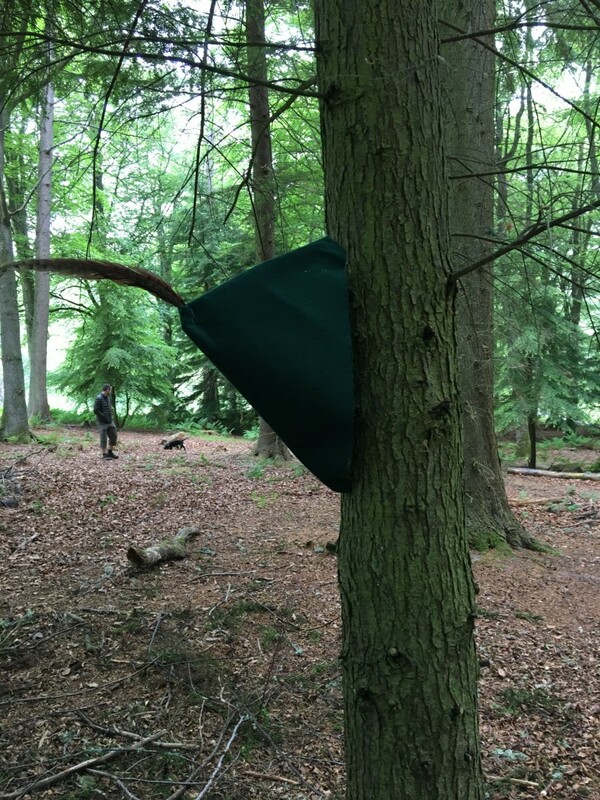 We found Robin Hood’s hat. Look, he just left it there for us to know we were heading in the right direction. It’s oh so exciting. And not a bear in sight. We found our crocodile. Turns out it was the Den Building guide dressed in a crocodile suit. I didn’t get a picture either, yes, I’m kicking myself. 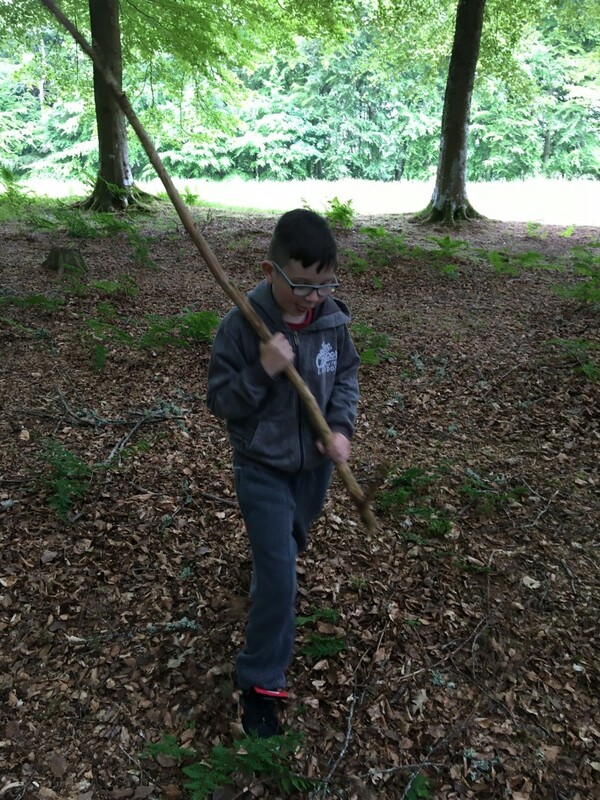 He was a awesome ranger though and had all the kids gathered together and off out collecting large sticks for our den. Got to make it structurally sound you know. Some sticks we collected were bigger than us. How exciting. We all got involved as a family and built the den with other families, it was lovely. Daddy got in on the action, helping our younger explorers out with their sticks. The boys were off with a few other kids collecting and we gathered a fair selection for our den. It’s starting to come together, you can see the gist of the structure. It’s all about teamwork and making sure you use strong and large sticks to form the base. You don’t want it falling in on you now, do you? Looking good isn’t it? Families coming together, no screens, just good old fashioned outdoor fun. Something that’s been done for generations and we are carrying on that tradition. Once the structure is there, you want to add moss, fern and smaller sticks to keep out that pesky rain. And possibly pirates. 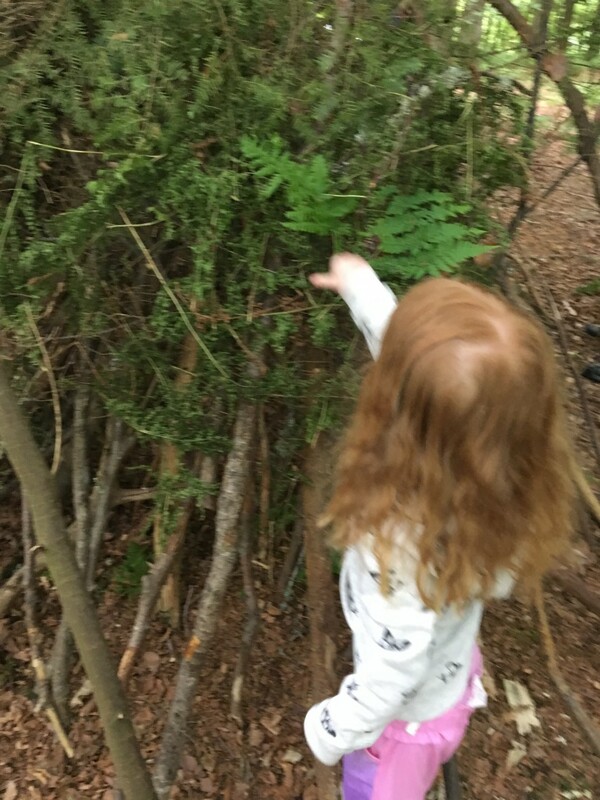 There are lots of lovely green fern in the woods and the ranger encouraged us to pick some and add it to the den. 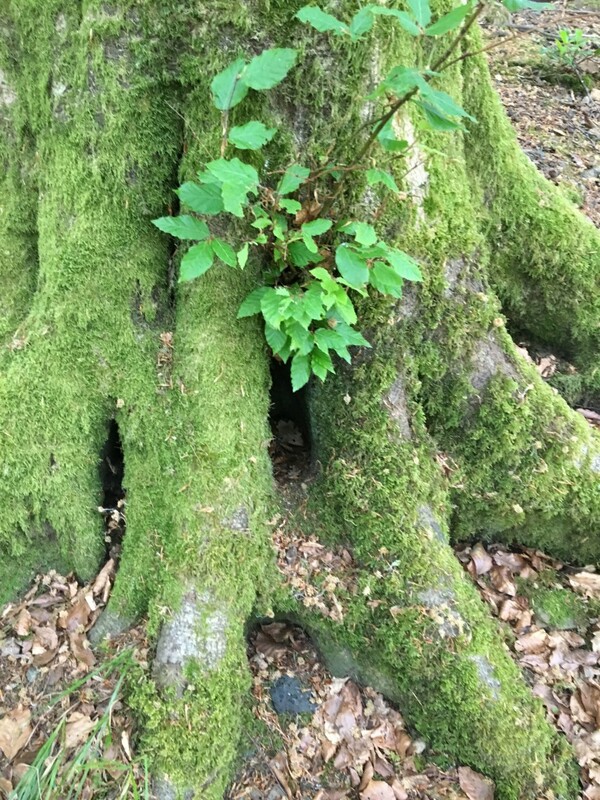 Now there’s a den that Peter Pan himself would be proud of. It was solid and the boys couldn’t wait to get in and try it out. They found it warm and cosy. Aria wasn’t so keen, she was being shy with the other boys and girls being around. Tyler just loved it, as you can see from his face and pretty much wanted to move it. Once I explained about the trip to school everyday, he wasn’t too keen and well the lack of toilet. 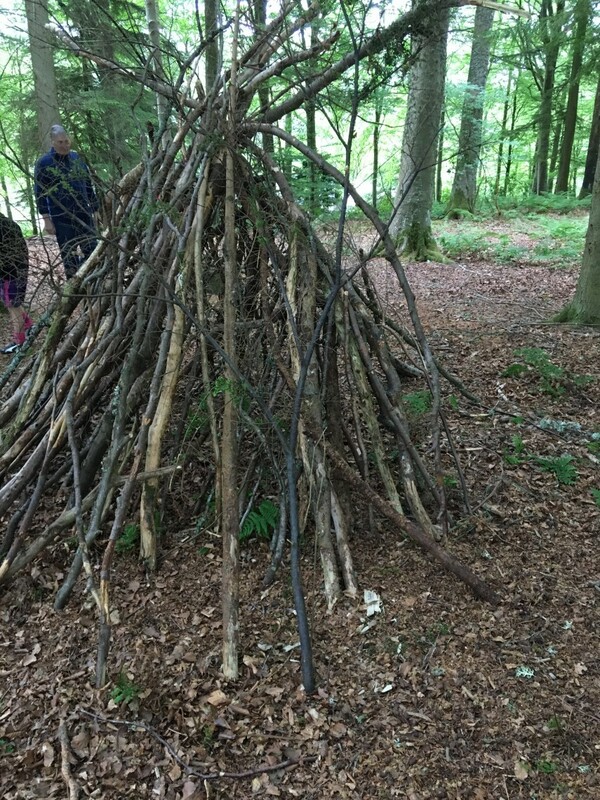 We built a pretend fire and had lots of fun playing in and out of the den, while the ranger explained more about the wooded area and the types of trees, etc within it. It was fascinating stuff. One the way back out the woods, reluctantly, as it was nice and dry in most parts. Just look at that canopy of trees? Getting back to nature at it’s best. On the way back up to the main area we looked for places where Tinkerbell and her fairy friends might live. Shhh can you see any? 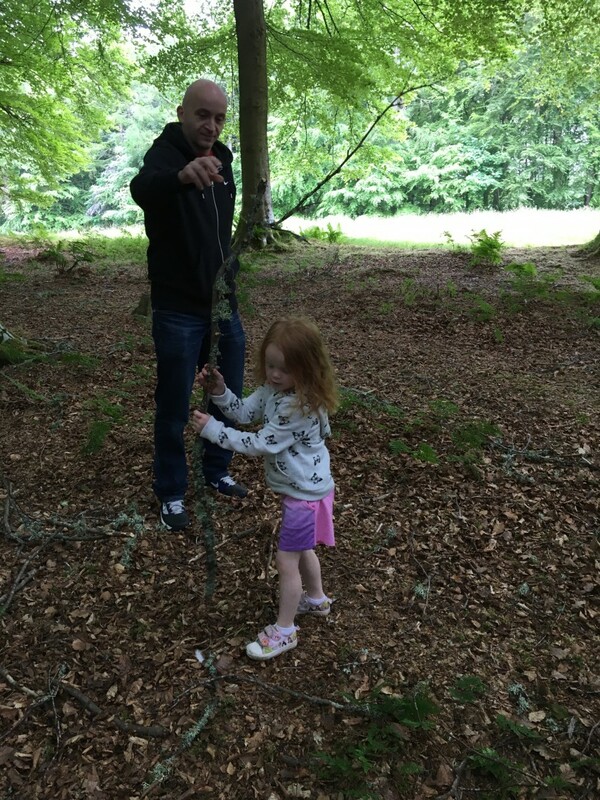 We absolutely loved our trip to Bowhill, yes the weather sucked and I know we would have spent a while in the fantastic play park there is, a wander around the gardens and grounds and even spent some time visiting the house itself. 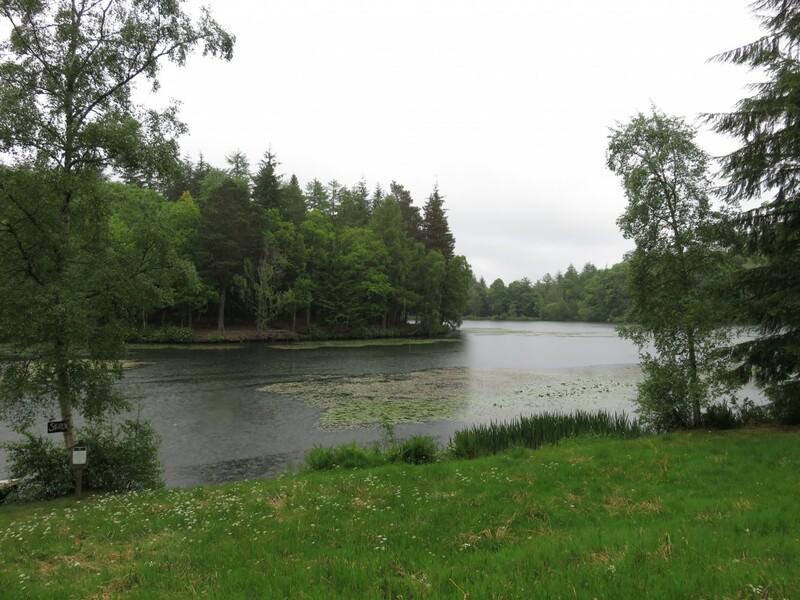 We didn’t get to see Bowhill House and Country Estate to it’s full capacity, so we said we’d go back again over the summer. Having had such a great time with the den building in the woods, we all had big smiles on our faces, along with the rain dripping off us. 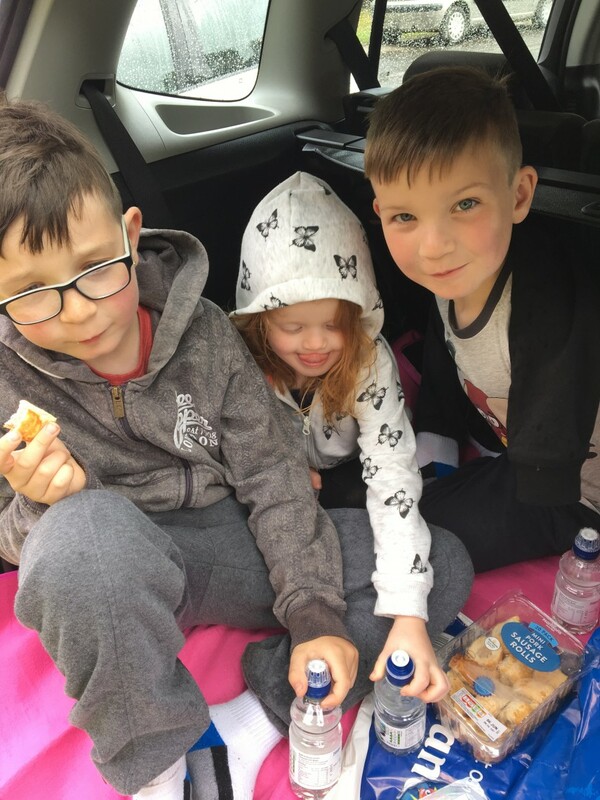 A car picnic for a late lunch, before heading back up the road, through the lovely Scottish scenery. I would highly recommend visiting Bowhill House if you are in the area. Entry for the Estate and Gardens costs £4.50 for adults and £3.50 for concessions and children aged 3-16 years. Under 3 years go free and families (two adults and two children) cost just £14. 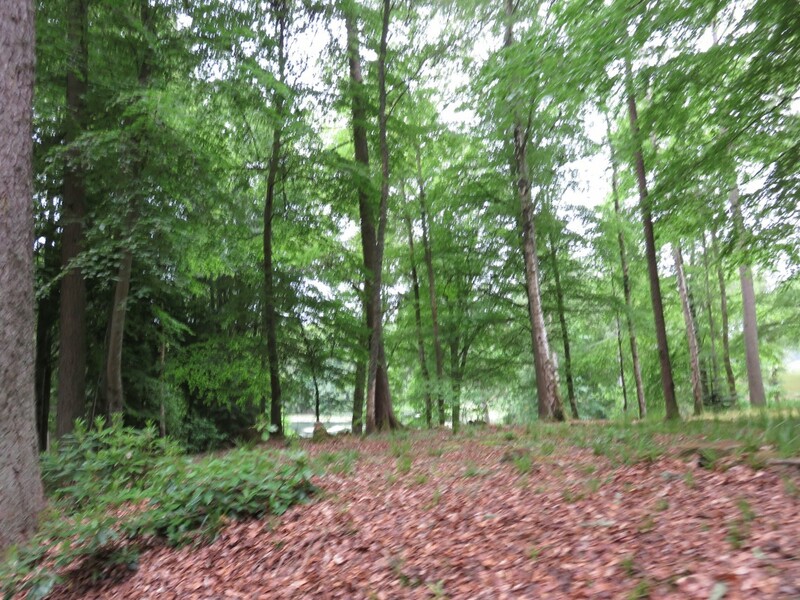 I think this is well priced for the vast area to visit and all that is within the grounds, including an adventure playground. There is lots of lovely walks to go on and a nice wee cafe to fill up on pieces (sandwiches) and haggis. Ending with a little gift shop. 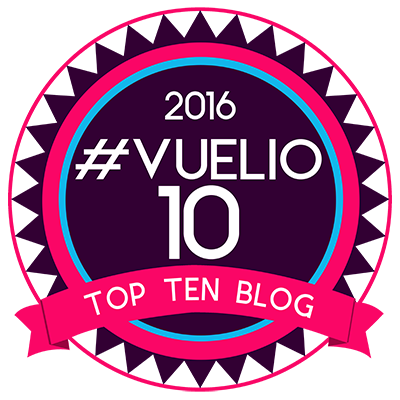 With lots of different events on throughout the year, do keep an eye on their events section of the website. A few will be extremely popular, so best to book them in advance. We are looking forward to heading back over the summer and enjoying some more of these magical walks and pottering about in the adventure park. What do you think of our den? 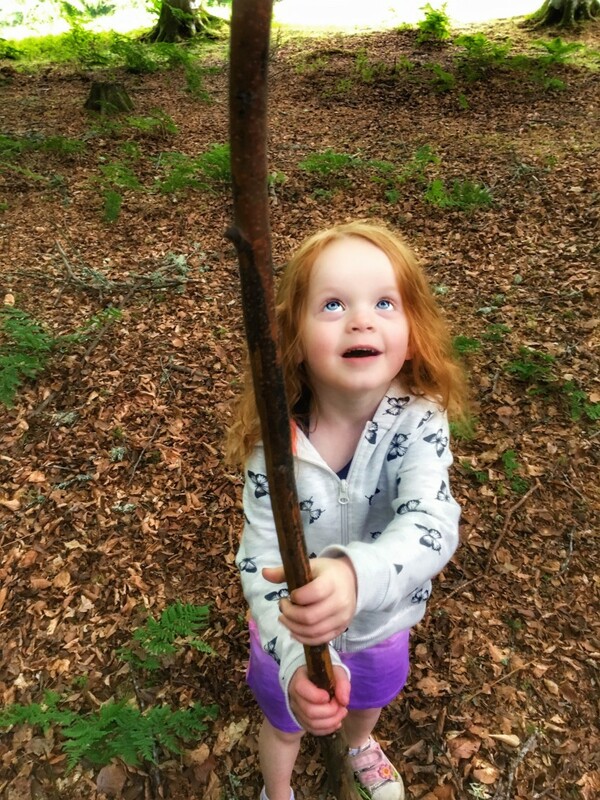 Disclaimer:- We were asked to come down and visit Bowhill, we got free entry to the den building event. All words and opinions are our own. We do love the great outdoors. What a great experience and I love your family resilience to the rain. It would have been so lovely to have spent more time there, I bet the grounds are stunning if the lake is anything to go by. That summer trip will be a must! I must say it seems very good value too. 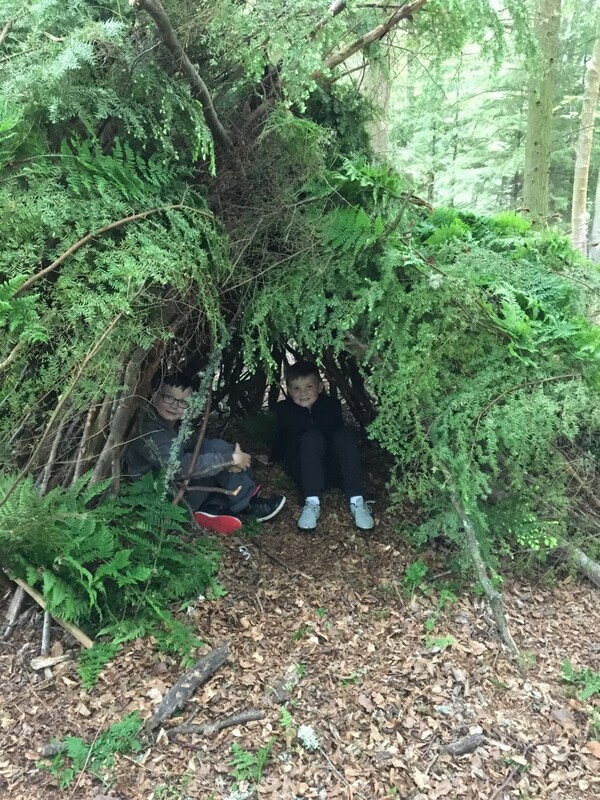 Well done on your den, Peter Pan would indeed have been proud, a great result and perfectly finished with all the bracken too. 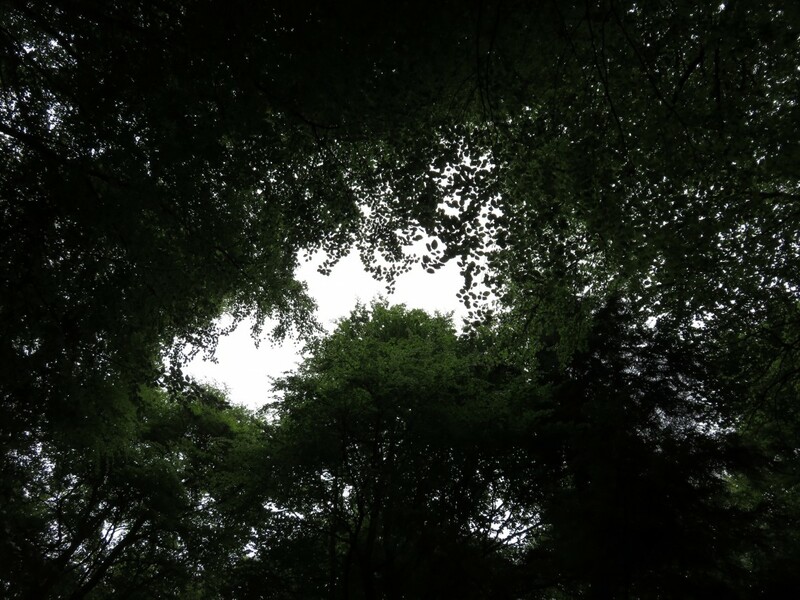 Some lovely photos that show just what a great protection the natural canopy of the woods is against the rain. This looks like a fantastic day out….What an awesome den! This looks like a really fun day out, what a great den! 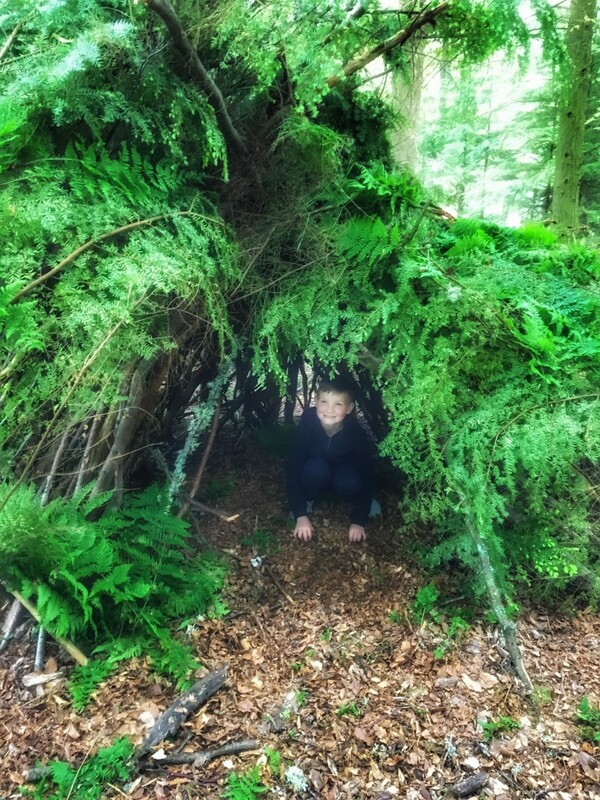 There’s nothing quite as much fun as building a den as a kid is there?! My kids are obsessed with den building! What a magical place. 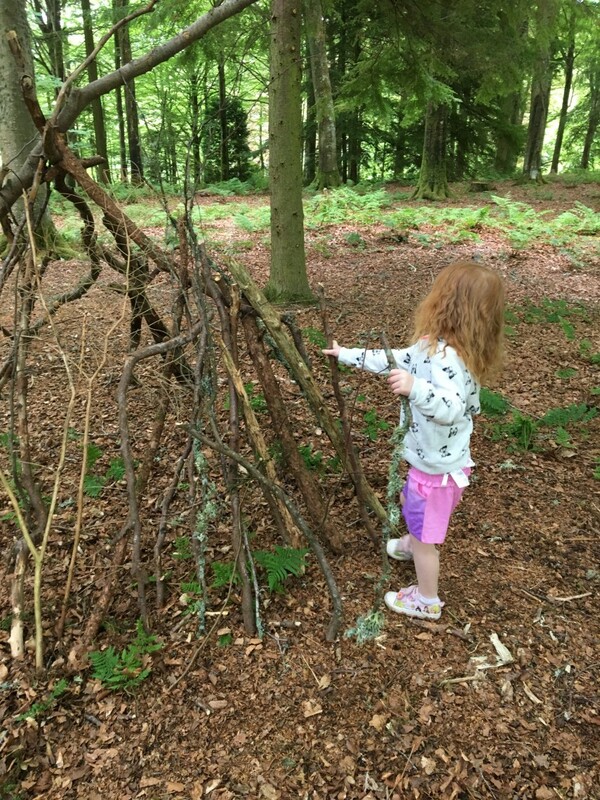 There is something wonderful about forests and den building. Oh and we have lots of boot picnics being from the North! What an awesome looking den Susan. That’s really good prices for an adventure park, something I have to consider with my 3. I can totally relate to this post! I can see the kind of amazing time you guys had, such a cute children!